Writer Peter Theo Curtis has ties to the Boston area. WASHINGTON — Peter Theo Curtis, a writer and scholar with ties to the Boston area who was held captive for nearly two years by one of the Islamic militant groups operating in Syria, was released Sunday after emissaries from the government of Qatar won his freedom on humanitarian grounds, in a stark contrast to the brutal murder of fellow war correspondent James W. Foley . Over the past two years she has been in close touch with the family of Foley, the award-winning reporter from New Hampshire who was captured a month after Curtis and whose videotaped beheading was broadcast around the world last week, she said. A Mass was held in Foley’s honor Sunday. “I have gotten to know the Foley family during these many long months of uncertainty and worry and have seen Diane Foley’s bravery and her heroic efforts firsthand, efforts that helped rally the spirits of the families of all the journalists and others being held captive,” Curtis’s mother added, referring to Foley’s mother. Foley’s captors, the anti-Western Islamic State in Iraq and Syria, had demanded a $130 million ransom for his release. The US government refused to pay, citing longstanding policy not to negotiate with terrorists, and it proved to be a sum that neither Foley’s family nor the Boston-based GlobalPost news service he was writing for could raise in time. Senior US officials in Washington described some of the diplomatic maneuvering that eventually won the release of Curtis. Secretary of State John F. Kerry raised Curtis’s plight with “a large number of countries” that have relationships with some of the myriad groups who have been seeking the ouster of Assad in Syria since 2011, including Al Nusra,” according to a senior Obama administration official who was not authorized to speak publicly. But the government that ultimately proved most crucial, they said, was Qatar, the small Persian Gulf emirate allied with the United States that has also supported some of the anti-Assad groups in Syria. Kerry, in a statement, also credited the Curtis family for never giving up on him. “Theo’s mother, whom we’ve known from Massachusetts and with whom we’ve worked during this horrific period, simply refused to give up and has worked indefatigably to keep hope alive that this day could be a reality,” said Kerry. Curtis is a graduate of Middlebury College in Vermont and earned a doctorate in comparative literature from the University of Massachusetts. Kirk Kardashian, a former journalist who lives in Woodstock, Vt., and who met Curtis in 2003, said he saw him just before he left for the Middle East in October 2012. Kardashian said he was “elated and somewhat in shock” to hear that Curtis had been released. Kardashian, who is now a senior writer at the Tuck School of Business at Dartmouth College, said he and other friends had warned him of the danger he faced. He later learned from Curtis’s parents that his friend had been taken hostage. Peter Theo Curtis graduated from Middlebury College and earned a doctorate from the University of Massachusetts. He may have understood his captors better than virtually any Westerner. In researching his book “Undercover Muslim,” which was published in Great Britain, Curtis went as far as pretending to convert to Islam while in Yemen, where he studied under the tutelage of followers of Al Qaeda. 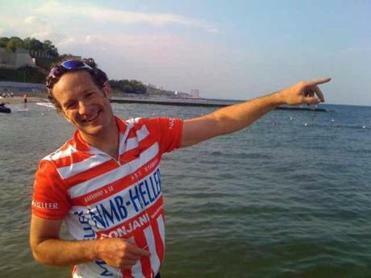 Usually barefoot and wearing a flowing robe, according to a 2010 report of his experience by GlobalPost, Curtis tried to befriend one young American convert in particular. “Taciturn, withdrawn, maybe depressed,” is how Curtis described Carlos Bledsoe. After his encounter with Curtis, in June 2009, Bledsoe drove by a military recruiting office in Little Rock, Ark., and opened fire, killing one soldier and wounding another. By then, Bledsoe had changed his name to Abdulhakim Mujahid Muhammad. Curtis’s family said Sunday that he changed his name from Peter Theophilus Eaton Padnos after publishing “Undercover Muslim” so he could travel without attracting the attention of authorities in Arab countries. The family statement added that he first became interested in disaffected youth when he was a teacher in the Vermont prison system, an experience chronicled in his first book, “My Life Had Stood a Loaded Gun. It was unclear Sunday whether Curtis’s deep insight into radical Islam, along with his Arabic fluency, helped persuade his captors to let him go. Al Nusra Front, also known as Jabhat al-Nusra, is a branch of Al Qaeda operating in Syria and Lebanon, was designated a terrorist organization by the US State Department in January 2012. 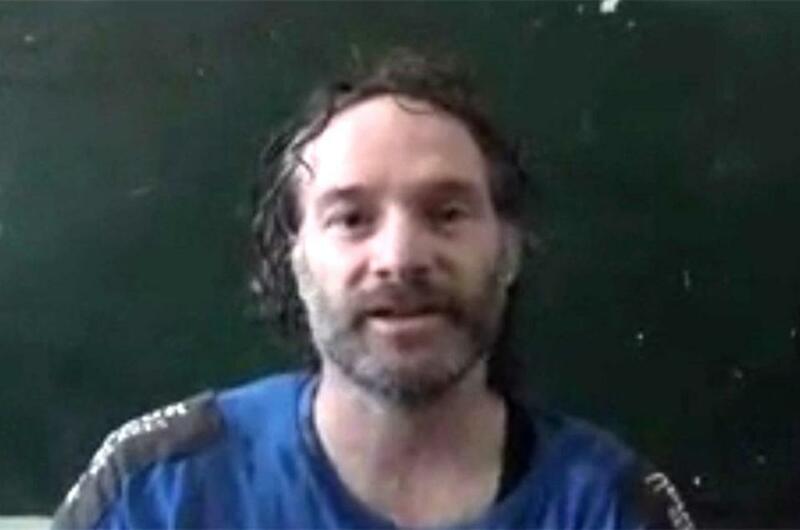 The New York Times reported that Curtis had been held alongside American photojournalist Matthew Schrier, who was able to escape July 2013 by standing on Curtis’s back and squeezing through an opening in the walls of their cell. “Theo has a deep concern and regard for the people of Syria, which is why he returned during the war,” his mother said in the statement Sunday. Indeed, his deep interest in the country was evident by some of the posts Curtis made to his Twitter account before his abduction. Material from the Associated Press was used in this report. Globe correspondents Todd Feathers and Jaclyn Reiss contributed to this report. Bryan Bender can be reached at bryan.bender@globe.com. Dan Adams can be reached at dadams@globe.com.